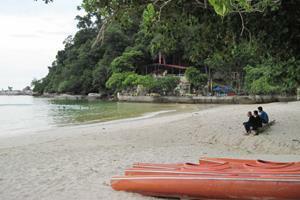 Pulau Pangkor is a well-known resort island located off the coast of the Perak state, Malaysia. It is surrounded by a number of other islands like the Pangkor Laut Island, Talang Island, Giam Island and Mentagor Island. It features some of the most beautiful and tranquil beaches in the country. 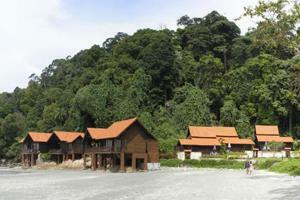 Although Pulau Pangkor does not receive as much publicity as Tioman Island or Langkawi, Pangkor still remains as a favorite vacation destination for both the tourists as well as locals. And one of the most preferred way to travel to this breath-taking island is by bus. However, since there is no direct bus to Pulau Pangkor, travelers tend to take the bus to Lumut instead and take the ferry to the island. The close proximity of the bus terminal and the jetty allows passengers coming from the bus to Pulau Pangkor to make their way to the island by getting off from the Lumut Bus Terminal, which is very near the Lumut Waterfront Jetty. Pangkor Laut Island, Talang Island, Giam Island, Mentagor Island, Pasir Bogak, Teluk Nipah, Coral Beach, Fu Ling Kong temple, Kali Amman temple, Batu Bersurat, Tiger Rock, Dutch Fort, Tortoise Hill. Book your tickets for the bus to Pulau Pangkor today!